COPYRIGHT – BESTOP PRP, LLC. All content included on this site, such as text, graphics, logos, button icons, images, audio clips, digital downloads, data compilations, and software, is the property of Bestop PRP, LLC or its content suppliers and protected by United States and international copyright laws. All software used on this site is the property of Bestop PRP, LLC and its software suppliers and protected by United States and international copyright laws. www.PRPseats.com, including all other URL’s owned by Bestop PRP, LLC and its owners, contains copyrighted material, trademarks and other proprietary information, including, but not limited to, text, software, photos, video, graphics, music and sound, and the entire contents of www.PRPseats.com are copyrighted as a collective work under the United States, and international copyright laws. You may not modify, copy, scrape, publish, transmit, participate in the transfer or sale, create derivative works, or in any way, exploit, the content, in whole or in part except as authorized under these terms. You may download copyrighted material for your personal, non-commercial use only. Except as otherwise expressly permitted under copyright law, no copying, redistribution, retransmission, publication or commercial exploitation of redistribution or publication of copyrighted material, no changes in or deletion of author attribution, trademark legend or copyright notice shall be made. You acknowledge that you do not acquire any ownership rights by downloading copyrighted materials. Unless otherwise indicated, all displayed trademarks, service marks, trade dress and trade names are owned by Bestop PRP, LLC or its affiliates and are proprietary to Bestop PRP, LLC The trademarks identifying the various makes and models of vehicles are owned by their manufacturers or affiliates thereof. Our use of these trademarks is merely to identify the make and model of the vehicle for which certain ones of our products are intended and should not be taken to mean that such manufactures endorse, are the source of, authorize or approve of Bestop PRP, LLC products. Bestop PRP, LLC takes its intellectual property seriously, and may use all options at law or equity in order to enforce its rights. Bestop PRP, LLC grants you a limited, non-transferable, non-sublicenseable, non-exclusive, license to access and make personal non-commercial use of this site and not to download or modify it, or any portion of it, except with express written consent of Bestop PRP, LLC This license does not include any resale or commercial use of this site or its contents; any collection and use of any product listings, descriptions, or prices; any derivative use of this site or its contents; any downloading or copying of account information for the benefit of another merchant; or any use of data mining, robots, or similar data gathering and extraction tools. This site or any portion of this site may not be reproduced, duplicated, copied, sold, resold, visited, or otherwise exploited for any commercial purpose without express written consent of Bestop PRP, LLC Any unauthorized use terminates the permission or license granted by Bestop PRP, LLC Bestop PRP, LLC may terminate this license at any time. Bestop PRP, LLC may enable you to add, create, submit, distribute or post certain content, including, without limitation, text, notes, articles, photos, data, graphics, and information (including, without limitation, personal information and location based services information) (each, a “User Submission”) through the site. By submitting any User Submission on or through the site you (a) acknowledge that you are publishing such User Submission, and that you may be identified publicly by your User name in association with such User Submission; (b) understand that whether or not such User Submission is published, Bestop PRP, LLC does not guarantee, and is not under any obligation of, confidentiality with respect to any User Submission, and agree that any User Submission provided in connection with the site is provided on a non-proprietary and non-confidential basis; (c) represent and warrant that you own or have all necessary rights and permissions to use and authorize Bestop PRP, LLC and users of the Service to use all intellectual property rights in and to any User Submission, and to enable inclusion and use thereof in connection with the site; (d) represent and warrant that your User Submission does not infringe or violate the rights of any third party, including, without limitation, any copyright, trademark, patent, or other intellectual property or proprietary right, or any right of privacy; (e) grant Bestop PRP, LLC a worldwide, non-exclusive, perpetual, irrevocable, royalty-free, fully-paid, sub-licensable and transferable license to use, edit, modify, reproduce, distribute, prepare derivative works based upon, display, perform, and otherwise exploit, the User Submission in order to provide the site and for its business purposes; (f) without limiting subsection (d) above, agree that Bestop PRP, LLC shall have the right, but not the obligation to, edit, delete, modify, reformat, or translate any User Submission submitted by you, at any time, without notice to you, and for any reason (including, without limitation, upon receipt of a claim relating to such User Submission, or if Bestop PRP, LLC is concerned that you may have violated these terms), or for no reason; and (g) grant each user of the Service a non-exclusive license to access your User Submission through the site and to use, reproduce, distribute, display, perform, and prepare derivative works based upon, such User Submission solely for personal non-commercial uses and as permitted by the terms and your access preferences. You further acknowledge and agree that you shall be solely responsible for any User Submission submitted by you and to the consequences of posting or publishing such User Submission, and you waive any “moral rights” in such User Submission. You understand that when using the site, you may be exposed to User Submission from a variety of sources, and that Bestop PRP, LLC is not responsible for the accuracy, usefulness, safety, or intellectual property rights of, or relating to, such User Submission. You may be exposed to User Submission that are inaccurate, offensive, indecent or objectionable, and you agree to waive, and hereby do waive, any legal or equitable rights or remedies you may have against Bestop PRP, LLC with respect thereto. Bestop PRP, LLC may remove any User Submissions at any time in its discretion. If you use this site, you are responsible for maintaining the confidentiality of your account and password and for restricting access to your computer, and you agree to accept responsibility for all activities that occur under your account or password. You may not use the site if you are under the age of 13. Bestop PRP, LLC reserves the right to refuse service, terminate accounts, remove or edit content, or cancel orders in its sole discretion. If you purchase a product through our website, you must provide us with a valid credit card issued in your name. You represent and warrant that you are authorized to allow us to charge your credit card. If you purchase a product through our site, the risk of loss and title for such items pass to you upon our delivery of said item(s) to the carrier. THIS SITE AND ALL INFORMATION, CONTENT, MATERIALS, PRODUCTS, AND SERVICES INCLUDED ON OR OTHERWISE MADE AVAILABLE TO YOU OR PURCHASED BY YOU THROUGH THIS SITE ARE PROVIDED BY BESTOP, INC. ON AN “AS IS” AND “AS AVAILABLE” BASIS, UNLESS OTHERWISE SPECIFIED IN WRITING. BESTOP, INC. MAKES NO REPRESENTATIONS OR WARRANTIES OF ANY KIND, EXPRESS OR IMPLIED, AS TO THE OPERATION OF THIS SITE OR THE INFORMATION, CONTENT, MATERIALS, PRODUCTS, OR SERVICES INCLUDED ON OR OTHERWISE MADE AVAILABLE TO YOU THROUGH THIS SITE, UNLESS OTHERWISE SPECIFIED IN WRITING. YOU AGREE THAT YOUR USE OF THIS SITE IS AT YOUR SOLE RISK. TO THE FULL EXTENT PERMISSIBLE BY APPLICABLE LAW, BESTOP, INC. DISCLAIMS ALL WARRANTIES, EXPRESS OR IMPLIED, INCLUDING, BUT NOT LIMITED TO, IMPLIED WARRANTIES OF MERCHANTABILITY AND FITNESS FOR A PARTICULAR PURPOSE. BESTOP, INC. DOES NOT WARRANT THAT THIS SITE, INFORMATION, CONTENT, MATERIALS, PRODUCTS OR SERVICES INCLUDED ON OR OTHERWISE MADE AVAILABLE TO YOU THROUGH THIS SITE, ITS SERVERS, OR ELECTRONIC COMMUNICATIONS SENT FROM BESTOP, INC. ARE FREE OF VIRUSES OR OTHER HARMFUL COMPONENTS. BESTOP, INC. WILL NOT BE LIABLE FOR ANY INDIRECT, INCIDENTAL, OR PUNITIVE DAMAGES, LOST PROFITS, LOST REVENUES, LOSS OF BUSINESS OPPORTUNITIES, AND CONSEQUENTIAL DAMAGES, EVEN IF BESTOP, INC. HAS BEEN ADVISED OF THE POSSIBILITY OF SUCH DAMAGES) ARISING FROM THE USE OF THIS SITE OR FROM ANY INFORMATION, CONTENT, MATERIALS, PRODUCTS, OR SERVICES INCLUDED ON OR OTHERWISE MADE AVAILABLE TO YOU OR PURCHASED BY YOU THROUGH THIS SITE, INCLUDING BUT NOT LIMITED TO INFORMATION OBTAINED FROM THE SITE THAT RESULTS IN MISTAKES, OMISSIONS, INTERRUPTIONS, DELETION OR CORRUPTION OF FILES, VIRUSES, DELAYS IN OPERATION OR TRANSMISSION, OR ANY FAILURE OF PERFORMANCE, UNLESS OTHERWISE SPECIFIED IN WRITING. TO THE EXTENT THAT WE DISPLAY OR OFFER FOR SALE THE PRODUCTS OF THIRD PARTIES, OUR LISTING OR DISPLAY DOES NOT CONSTITUTE AN ENDORSEMENT OF SUCH PRODUCTS. NOTWITHSTANDING ANYTHING TO THE CONTRARY CONTAINED HEREIN, OUR LIABILITY TO YOU FOR ANY DAMAGES ARISING FROM OR RELATED TO THESE TERMS OR YOUR USE OF THE SERVICE (FOR ANY CAUSE WHATSOEVER AND REGARDLESS OF THE FORM OF THE ACTION), WILL NOT CUMULATIVELY EXCEED THE GREATER OF (A) $100 OR (B) TOTAL FEES PAID BY YOU TO BESTOP, INC. DURING THE SIX (6) MONTHS PRIOR TO THE TIME SUCH CLAIM AROSE. 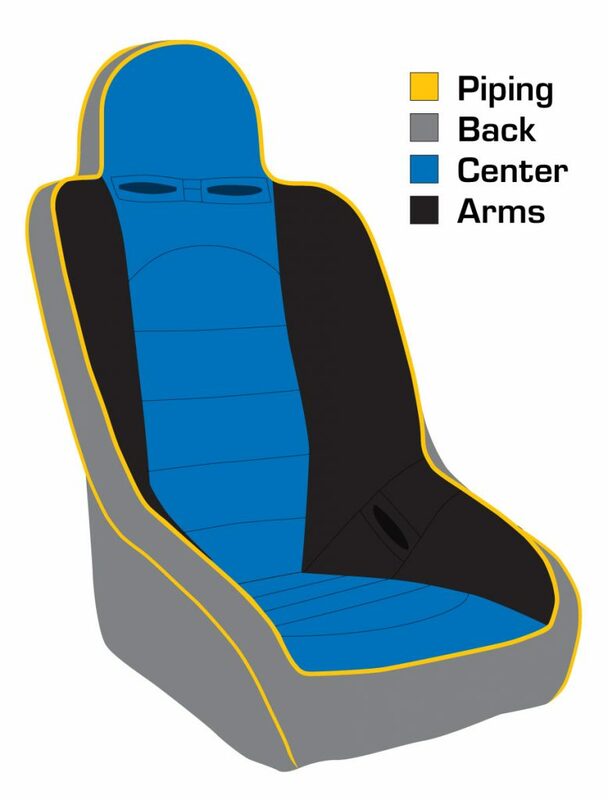 If you believe that Company has not adhered to these terms, please contact Company by e-mail at policy@prpseats.com. We will do our best to address your concerns. If you feel that your complaint has been addressed incompletely, we invite you to let us know for further investigation. If you and Bestop PRP, LLC are unable to reach a resolution to the dispute, you and Bestop PRP, LLC will settle the dispute exclusively under the rules of the American Arbitration Association (www.adr.org) at its Denver, Colorado office. Any election to arbitrate by one party will be final and binding on the other. YOU UNDERSTAND THAT IF EITHER PARTY ELECTS TO ARBITRATE, NEITHER PARTY WILL HAVE THE RIGHT TO SUE IN COURT OR HAVE A JURY TRIAL. You and Bestop PRP, LLC agree that any arbitration will be limited to the dispute between Bestop PRP, LLC and you individually. YOU ACKNOWLEDGE AND AGREE THAT YOU AND BESTOP, INC. ARE EACH WAIVING THE RIGHT TO PARTICIPATE AS A PLAINTIFF OR CLASS MEMBER IN ANY PURPORTED CLASS ACTION OR REPRESENTATIVE PROCEEDING. Further, unless both you and Bestop PRP, LLC otherwise agree, the arbitrator may not consolidate more than one person’s claims, and may not otherwise preside over any form of any class or representative proceeding. Your receipt of an electronic or other form of order confirmation does not signify our acceptance of your order, nor does it constitute confirmation of our offer to sell. Bestop PRP, LLC reserves the right at any time after receipt of your order to accept or decline your order for any reason. Bestop PRP, LLC reserves the right to reject any order you place, and/or to limit quantities on any order, without giving any reason. If Bestop PRP, LLC rejects your order; we will generally attempt to notify you using your email address you gave when you placed the order. The PRPseats.com site attempts to display product images shown on the site as accurately as possible. However, we cannot guarantee that the color you see matches the product color, as the display of the color depends, in part, upon the monitor you are using as well as other factors. Prices and availability of products and services are subject to change without notice. Errors will be corrected where discovered, and Bestop PRP, LLC reserves the right to revoke any stated offer and to correct any errors, inaccuracies or omissions including after an order has been submitted and whether or not the order has been confirmed and your credit card charged. If your credit card has already been charged for the purchase and your order is cancelled, Bestop PRP, LLC will issue a credit to your credit card account in the amount of the charge. Individual bank policies will dictate when this amount is credited to your account. If you are not fully satisfied with your purchase, you may return it in accordance with the Bestop PRP, LLC Return Policy. You agree to indemnify and hold Bestop PRP, LLC and its affiliates, officers, agents, employees, partners and licensors harmless from any claim or demand, including reasonable attorneys’ fees, made by any third party due to or arising out of your use of www.bestop.com, your violation of this Agreement, or your violation of any rights of another, or your use of any product purchased through the site. Bestop PRP, LLC may provide, or third parties may provide, links to other Internet sites or resources. You acknowledge and agree that Bestop PRP, LLC is not responsible for the availability of such external sites or resources, and does not endorse and is not responsible or liable for any content, advertising, products or other materials on or available from such sites or resources. You further acknowledge and agree that Bestop PRP, LLC shall not be responsible or liable, directly or indirectly, for any damage or loss caused or alleged to be caused by or in connection with use of or reliance on any such content, goods or services available on or through any such site or resource. We are always pleased to receive input from our customers and welcome your comments and feedback. Unfortunately, it is the policy of Bestop PRP, LLC not to accept or consider new products, engineering drawings, advertisements, creative ideas, suggestions or materials other than ideas that we have, in writing, specifically requested. Please do not submit any unsolicited inventions, creative suggestions, ideas, notes, drawings, concepts or other similar information. You agree that any such unsolicited information shall become, and will forever remain, Bestop PRP, LLC property. No such submission of any information will be subject to any obligation of confidence on Bestop PRP, LLC part and Bestop PRP, LLC shall not be liable in any way for any use or disclosure of any such submission of information. Bestop PRP, LLC shall exclusively own all now-known or future existing intellectual property rights to any unsolicited information of every kind and nature and shall be entitled to unrestricted use of such information for any purpose whatsoever, commercial or otherwise, without any consideration being owed or due to you. The disclosure, submission or offer of any Suggestions or other similar information by you will constitute an assignment, and you hereby assign, to Bestop PRP, LLC of all worldwide rights, titles and interests and goodwill in the Suggestions without payment of any compensation. Suggestions submitted by you must not violate any right of any third party, and must not contain any libelous, abusive, obscene or otherwise unlawful material. Please review our other policies, such as our shipping policy, posted on this site. These policies also govern your visit to PRPseats.com. These terms are subject to occasional revision, and if we make any substantial changes in the way we use your information, we will notify you by sending you an e-mail to the last e-mail address you provided to us and/or by prominently posting notice of the changes on our site. Any material changes to these terms will be effective upon the earlier of thirty (30) calendar days following our dispatch of an e-mail notice to you or thirty (30) calendar days following our posting of notice of the changes on our site. These changes will be effective immediately for new users of our site or services. Please note that at all times you are responsible for updating your information to provide us with your most current e-mail address In any event, changes to these terms may affect our use of information that you provided us prior to our notification to you of the changes. If you do not wish to permit changes in our use of your information, you must notify us prior to the effective date of the changes that you wish to deactivate your account with us. Continued use of our site, or services, following notice of such changes shall indicate your acknowledgement of such changes and agreement to be bound by the terms and conditions of such changes. If any of these conditions shall be deemed invalid, void, or for any reason unenforceable, that condition shall be deemed severable and shall not affect the validity and enforceability of any remaining condition. Bestop PRP, LLC may, in its sole discretion, terminate your account or your use of the site at any time. You are personally liable for any orders that you place or charges that you incur prior to termination. Bestop PRP, LLC reserves the right to change, suspend or discontinue all or any aspects of the website, or any products or services offered through the website, at any time without prior notice. If you believe that your work has been copied in a way that constitutes copyright infringement, please provide Bestop PRP, LLC copyright agent the written information specified below. Please note that this procedure is exclusive for notifying Bestop PRP, LLC that your copyrighted material has been infringed. Bestop PRP, LLC may at its sole discretion limit access to the site and/or terminate the accounts of any users who infringe any intellectual property rights of others, whether or not there is any repeat infringement. These terms constitutes the entire agreement between you and us regarding the use of the site and service. Our failure to exercise or enforce any right or provision of these terms shall not operate as a waiver of such right or provision. The section titles are for convenience only and have no legal or contractual effect. The word including means including without limitation. If any provision of these terms is, for any reason, held to be invalid or unenforceable, the other provisions of these terms will be unimpaired and the invalid or unenforceable provision will be deemed modified so that it is valid and enforceable to the maximum extent permitted by law. Your relationship to Bestop PRP, LLC is that of an independent contractor, and neither party is an agent or partner of the other. These terms, and your rights and obligations herein, may not be assigned, subcontracted, delegated, or otherwise transferred by you without Bestop PRP, LLC’s prior written consent, and any attempted assignment, subcontract, delegation, or transfer in violation of the foregoing will be null and void. The terms and conditions set forth in these terms shall be binding upon assignees.